At NeoVision Eye Center, our financing plans work with any budget. You can have the surgery now and make affordable monthly payments later. No matter which option you choose, when your application is approved, you’ll receive an instant line of credit based on your credit record. 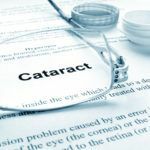 These financing options are applicable to cataract surgery, multifocal lens implants, LASIK, and cosmetic procedures like radiosurgery. NeoVision Eye Center accepts several payment options for your convenience. We accept Cash, credit cards, or a cashier's check. We only accept cash for payments under $20, for payments above that amount, we accept credit cards or a cashier's check. Sorry, no personal checks are accepted. 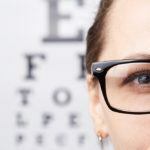 Laser vision correction fees can be covered by medical flex / cafeteria plans that allow pretax dollars to be set aside. We encourage you to explore if a medical reimbursement account (i.e. medical flex / cafeteria plan) is offered through your employer. This is a popular way to help pay for your eye procedure. Money set aside in a medical reimbursement account can often be a significant pre-tax savings. Laser vision correction fee is generally tax-deductible as a medical expense. First and foremost, LASIK doesn’t have to come as a scary one-time lump sum. CareCredit is a healthcare-focused credit card that allows holders to pay for health-related costs monthly instead of all at once. CareCredit offers a variety of financing options that allow you to pay for your LASIK procedure over time. This financing option allows you to have your procedure right away and plan your payments out over the next 6 months. Significantly reducing the barrier to entry, a 12-month financing option allows payments to be spaced out over an even longer period of time. A 24-month financing option allows our patients the freedom of spacing payments out over the longest period of time possible. CareCredit financing is not eligible with all promotions. In certain cases, there may be a processing fee for using CareCredit financing, please contact our office for more details or questions. Type the cost of the procedure to calculate interests rates from Care Credit. 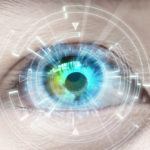 Laser vision correction procedures, cosmetic surgery, or any other surgical procedure requiring payment in advance, can be paid for in a number of ways. NeoVision Eye Center has allied with several lending institutions to offer competitive financing options for our patients. We provide several ways to pay for your procedure. The “Same as Cash” financing option allows you to have the procedure right away and make payments interest free over the next 6 months. You may also apply for the standard financing option. It gives you the convenience of payments that works like a personal loan. You select a term of 24 to 48 months along with the amount you need. You only need to make the minimum monthly payments. Your monthly payments could be less than $50 per eye. Please ask for further details or an application. With NeoVision’s easy and smart financing programs, your payments can be customized to meet your needs. Best of all, there are no up-front costs. That means you can actually start treatment without any out of pocket investment. Plus, you can prepay at any time – with no penalty. Now, the gift of clear vision is more affordable than ever! Applying for financing consists of a very short form, literally taking less than 5 minutes. The form is then submitted electronically, and in most cases, authorization guaranteeing your funds is issued within 20 minutes! Interest rates and down payment requirements are solely dependent upon credit rating.